The Ice Age was a period of several hundred years that began within a short time following the global Flood of Noah’s Day. During this time, global temperatures cooled and glaciers covered one-third of Earth’s surface. The Flood’s after-effects, such as warmer oceans and cooler air temperatures, created the necessary conditions. 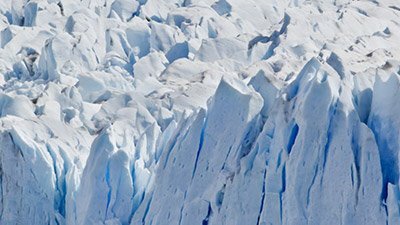 The Bible gives us the big picture of human history—as well as some critical details—which helps us narrow down when the ice built up and then melted away. After two centuries of research, we now have enough information to begin recreating scenes from the rise and fall of the Ice Age. Two particular aspects of the Flood were instrumental in causing the Ice Age: (1) extensive volcanic activity during and after the Flood, and (2) the warm oceans following the Flood. We know the extent of the Ice Age because the glaciers left features on the landscape similar to features we observe around glaciers today. Woolly mammoths probably died after the Flood because there are thousands of carcasses scattered across Alaska and Siberia resting above Flood deposits. There must have been sufficient time for the mammoths to have repopulated these regions after the Flood. The post-Flood Ice Age provides an explanation for the mystery of the woolly mammoths. As people groups spread out across Asia and into Africa and Europe, a population traversed a landbridge connecting Siberia to North America (a landbridge since submerged in the Bering Strait). From there, the group populated the continent and diversified both genetically and culturally. Despite its popularity, the Milankovitch hypothesis has many problems that are acknowledged even by secular scientists (Cronin 2010, 130–139). Part I of this series presented a number of serious problems with the Pacemaker paper. It is necessary to also understand the Blackman-Tukey (B-T) method. This paper, the first in a series, demonstrates that much of the Hays et al. paper, as originally presented, is invalid. 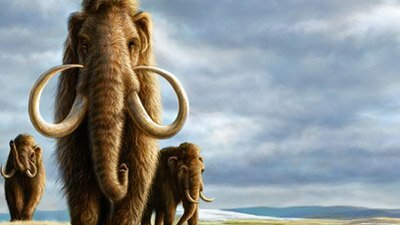 Was Mammoth Extinction Caused by Rapid Global Warming? Both the Ice Age and the many millions of woolly mammoths buried in Siberian permafrost have been major mysteries for about years despite numerous theories. From the top of the Greenland ice sheet, glaciologists further claim that they can count the annual layers downward. They arrive at 110,000 years for the top 90 percent. Is their claim justified? Secular scientists are finally showing by their research that they recognize a problem creationists have been pointing out for decades. 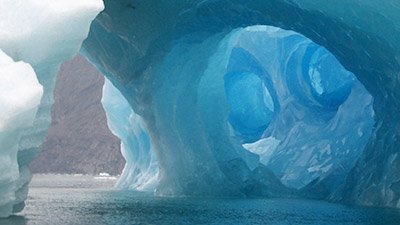 Does a Recycled Climate Model Explain Evolutionary Ice Ages? The Bible doesn’t say, “And then there was an Ice Age.” Yet it does help us narrow down when the ice built up and then melted away. Few people dispute that an Ice Age once struck the planet, leaving telltale marks. But many mysteries remain. Have you ever wondered what it was like when Noah first stepped off the Ark? Imagine the changes! PBS recently aired an intriguing documentary covering an investigation into the death of earth’s oldest cold case. How and why was Ötzi killed? Protein degradation purported to peer into the past. When we start our reasoning from the truth of Scripture, we can develop a model to help us understand the one and only Ice Age. A mountain range the size of the European Alps—larger than anyone expected—has finally been measured. The Flood of Noah’s day was the greatest catastrophe in earth history, and it involved much more than rain. A new genetic study conducted at the University of Michigan “bolsters claims that Native Americans are descended from one migrant group that crossed a lost land link from modern Siberia to Alaska,” reports Agence France-Presse. 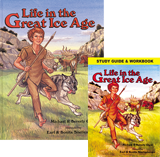 The ice age is a popular topic that is often discussed. Sadly, most people hear the secular/uniformitarian view and don’t look at this subject from a biblical perspective. Dr. Hugh Ross’s Reasons to Believe website featured a new result from the Dome C ice core. After the Flood drained off the land, the world’s ocean and land temperatures were constantly changing as they strove toward the relative equilibrium we experience today. It is likely that all mammoths should be classified as one species, or at least within one biblical kind. There are four possible explanations for the unique mix of cold- and heat-loving animals that were common during the Ice Age. There is plenty of evidence that the woolly mammoths in Siberia, Alaska, and the Yukon and almost all other surficial sites in the Northern Hemisphere died after the Flood. Researchers have generated a lot of theories to explain the mysteries surrounding the mammoths, but questions about the cause of the Ice Age have also spawned a multitude of ideas. The two ingredients required for an Ice Age, cool temperatures and tons of snow, were dramatically fulfilled immediately after the Genesis flood. The Genesis flood provides the two ingredients necessary for an ice age. From this point on we can use basic meteorology to estimate the storm patterns and where ice sheets would develop. Accelerated melting would mark the end of the Ice Age. We often hear glacial geologists speak of numerous ice ages, as if it is certain. They hypothesize up to 30 different ones, each separated by interglacials, during the past 2.5 million years. Were Siberian Mammoths Quick Frozen? Despite its appeal, there is much evidence against the quick-freeze hypothesis. Climate change at the end of the Ice Age was the main cause of late Ice Age extinctions. Show that ice core dating methods are not independent and open to significant reinterpretation. The root of the problem is the uncritical acceptance of the uniformitarian paradigm. Uniformitarian scientists derive many more ‘annual layers’ in the Greenland ice cores than creationists because of their assumed old age time scale. For creationists, the rocks and their associated ‘glacial diagnostic features’ can be explained very easily. They are the result of gigantic submarine landslides in a warm ocean in the Genesis Flood. Twentieth Century Fox has turned the period of Earth history known as the Ice Age into an animated movie for children called Ice Age. It is the Greenland Ice Sheet that exhibits annual cycles of one or more of the variables down an ice core. This article discusses the weather after the global flood and the conditions needed to create an ice age. This article discusses the possiblity of there having been a global ice age following the global flood. 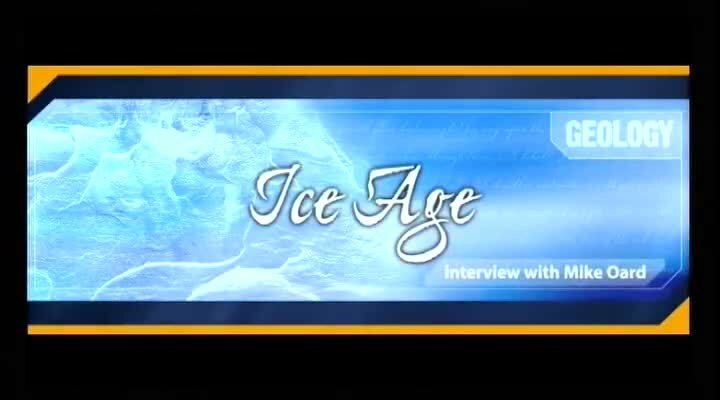 What do you know about the Ice Age? How does it fit into world history?